The lighting is a tribute to Paul Allen, the co-founder of Microsoft and owner of the Seattle Seahawks, who died last month. 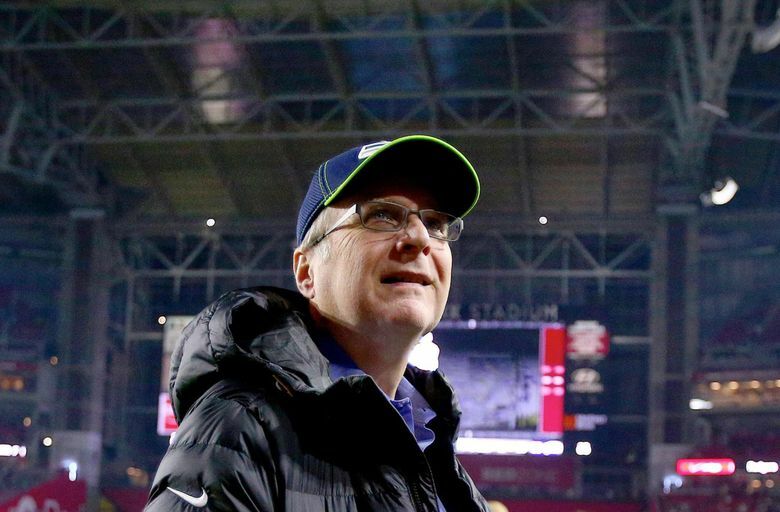 Buildings around Seattle and beyond in Washington state will be lit in blue this weekend, Nov. 3 and 4, in honor of Paul Allen, the Microsoft co-founder and prominent business leader who died last month. Allen, who also owned the Seahawks and Portland Trail Blazers, died Oct. 15 from complications of non-Hodgkin lymphoma. The idea for the illumination tribute came after Seahawks fans showed support for the Allen family at their recent game, according to representatives of Allen’s multifaceted holding company Vulcan Inc.
Buildings across Seattle, including the Amazon Spheres, CenturyLink Field and Columbia Tower, will be lit blue Saturday and Sunday nights. The lighting tribute will also stretch to T-Mobile US in Bellevue, Washington State University in Pullman and Microsoft’s buildings in Bellevue, Los Angeles and New York. Jody Allen was named the executor and trustee of the billionaire’s estate last week. Allen’s holdings also include a wide range of real estate, arts, music and philanthropic interests. The color blue was chosen for the Seahawks and also because it was Allen’s favorite color, a Vulcan representative said. Other buildings in Seattle that will be lit include PEMCO headquarters, Washington State Convention Center, Union Square, the University of Washington Tower, UW Paul G. Allen Center for Computer Science & Engineering, and the 520 bridge. No public memorial services are presently planned for Allen, Vulcan said.